Warning: Super long post ahead! 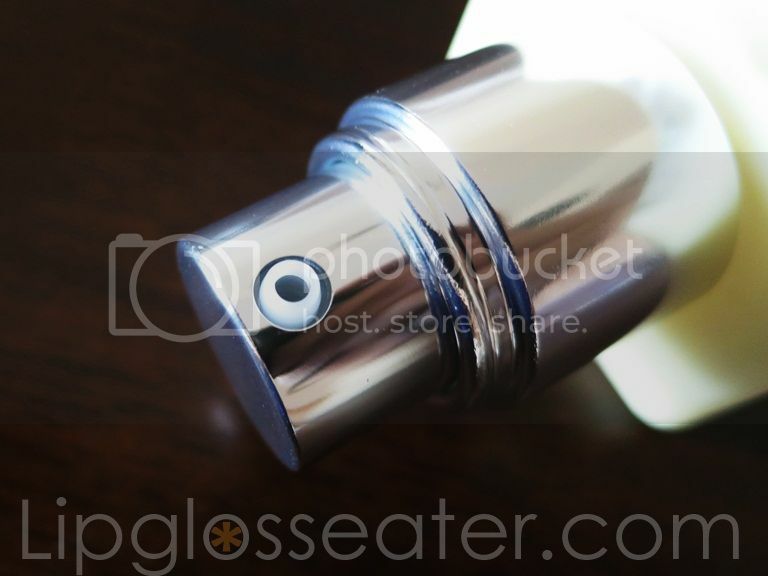 Weight: 50ml / 1.7 US. Fl. Oz. and 125ml / 4.2 US. Fl. Oz. 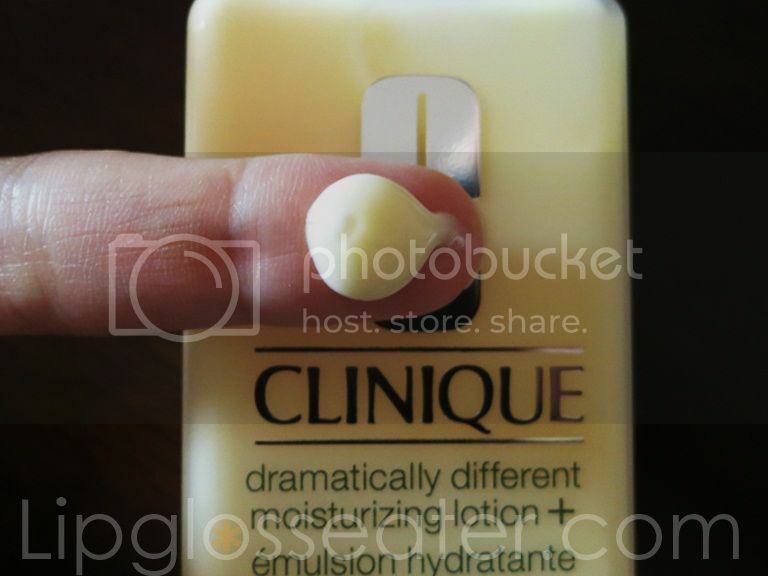 Step 3 in Clinique's 3-Step Skin Care System. 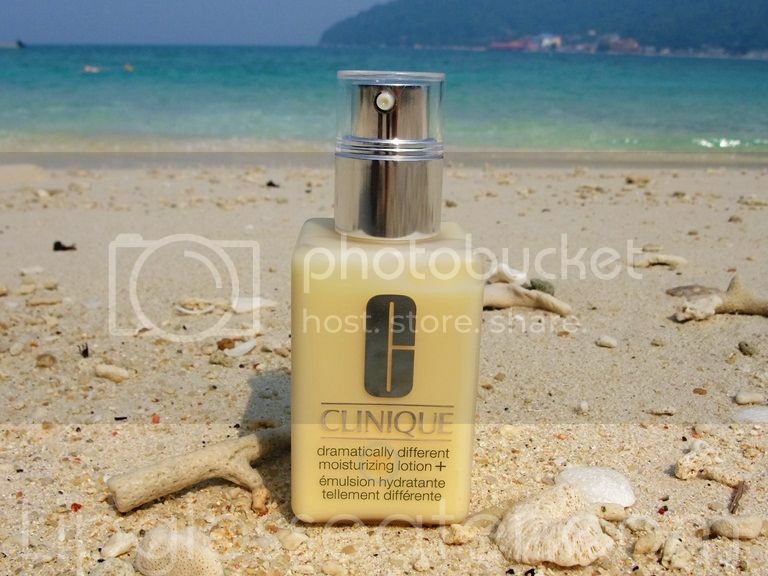 The moisture "drink" developed by Clinique's dermatologists to maintain optimal moisture balance for very dry skins, or skins dry in the cheeks, comfortable to oily in the T-zone. Softens, smooths, improves. 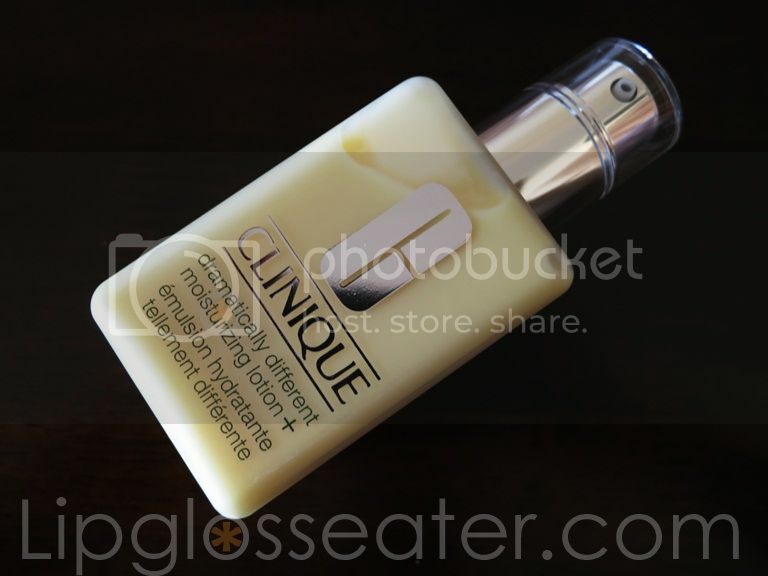 This moisturizer is really fluid, so it spreads unto your skin easily. I love how quickly this absorbs into the skin and leaves it comfortably moisturized without that heavy feeling. Mine is a press sample so I don't have the box it came in to show unfortunately. So sorry! I read that DDML users can be divided into two camps - one loves and defends it to death, the other one, not so much. My friend S has been raving about how this is the only moisturizer she can use for her eczema-prone skin, but on the other hand, I read that quite a few people experienced breakouts from it, so I was actually a little worried when I tossed it into my bag and brought it along to my week-long beach vacation (yes, that's when I shot the different-from-usual product photo at the beginning of the post - must be Dramatically Different mah! Ok I'll scoot back over to my lame corner now! :P). And guess what? My sun parched skin loved every bit of it and soaked it all in! ...and this is no different - my vacation ended and so did the magic in this product! Trouble started for me a week or so after I got home. I started noticing tiny pimples popping up on all over my face! :( I went off this for a few days and the breakouts subsided, and being my usual sadistic self just to be doubly sure, I tried using this again a week after the pimples are gone and sadly, it's hello breakouts again. After some "brainstorming" (no, not really, lol) and experimenting, I finally found the root cause of the breakouts. I discovered that if I used this on its own like how I did during my vacation, all is good (amazing, in fact). But if I combined it with anything else (like my beloved Advanced Night Repair from Estee Lauder or the Kiehl's Midnight Recovery Concentrate which I'm trialing now), all hell breaks loose. Whether the combination of both that proved too rich for my skin, or maybe both products together created some kinda chemical reaction that my skin decided that it doesn't like, I'll never know what is the reason for this. All I know is that I can't use anything more than just the DDML itself for it to work for my skin! "So, how does the DDML+ compare to the old DDML?" Personally I'm not a chemist so I can't say for sure if these new ingredients will work better. I highly recommend reading this article from Futurederm.com as it explains the new ingredients in depth and much better than I could! 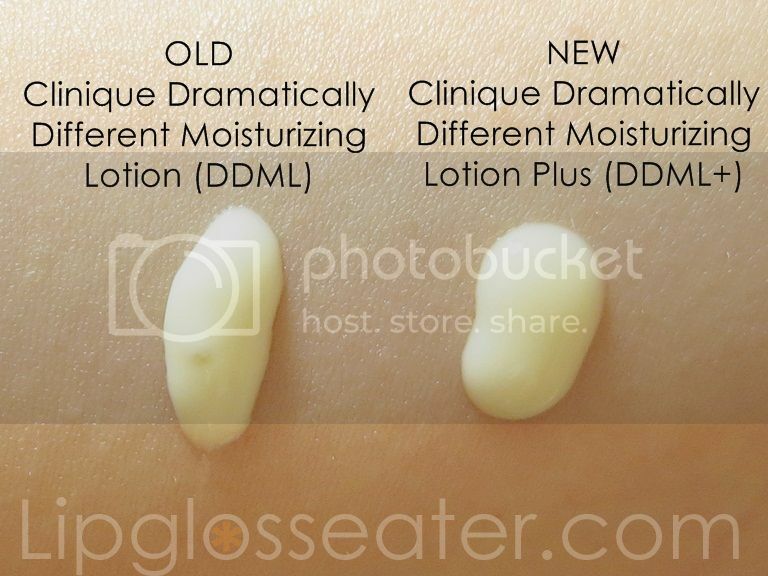 :D From a strictly theoretically speaking standpoint though the DDML+ *should* be better as they provide additional moisture binding agents as well as ingredients to strengthen the skin from external aggressors. However, everybody's skin is different so it's hard to say for sure if the old or new one works better across the board. Next, let's talk about the texture and feel. This product is provided for consideration. Opinions, as usual, are 100% my own. I am in no way affiliated with them nor do I get compensated monetarily for this post. Kindly purchase at your own discretion. For the nitty gritty on sponsored products, kindly read my disclaimer. Used the original DDML for 20 years, tried the new + version and HATED it!